Content marketing is the act of creating, publishing, and distributing content like articles, posts, and videos with the express aim of attracting, engaging, and retaining customers. Often content marketing focuses on customer needs rather than on selling products, so content that is entertaining, informative, or helpful is usually best. What follows are five content marketing ideas for March 2016. 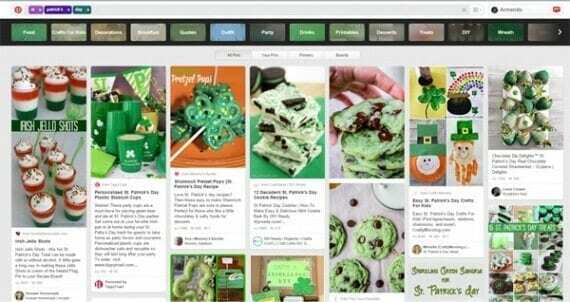 St. Patrick’s Day social media content, like pins on Pinterest, is perhaps the simplest example of what you can do to engage potential customers around the holiday. St. Patrick’s Day can be a good source for content marketing. In fact, ecommerce businesses from nearly any industry will find St. Patrick’s Day-related topics to cover during the weeks and days leading up to the holiday. This is especially true if you extend your St. Patrick’s Day content to include Irish culture and history. Here are a few example article titles for St. Patrick’s Day content. In addition to articles and videos around St. Patrick’s Day, online retailers can also share content on Pinterest, Facebook, and other social media sites. This content might be an Irish-themed pin board or a St. Patrick’s Day contest. 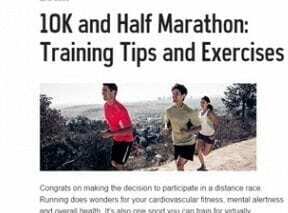 How-to articles are at the heart of business-to-consumer content marketing. When you can help a potential customer learn a skill or complete a project, you have gone a long way toward building a lasting relationship. In North America, March 20, 2016 will be the first day of spring, and a good opportunity for online retailers to publish useful spring-themed do-it-yourself articles and videos. Here are samples from online and omnichannel stores. 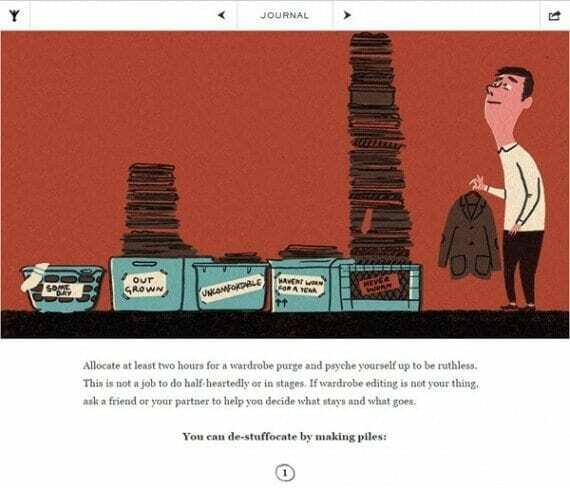 Mr. Porter, which sells high-end men’s clothing, published a how-to “clean your closet” article. Freeing up closet space might lead to more sales for the company. You can also draw inspiration for your spring-related, DIY content from YouTube and similar communities, where there are hundreds, if not thousands, of channels devoted to DIY projects. Here are a few examples. Maybe it is the changing weather. Perhaps it is simply family tradition. But in spring many households go through a deep, thorough cleaning process. Even folks who don’t actually clean in the spring are familiar with the idea. Ecommerce content marketers can use spring cleaning as the theme for many posts, videos, and articles this March. 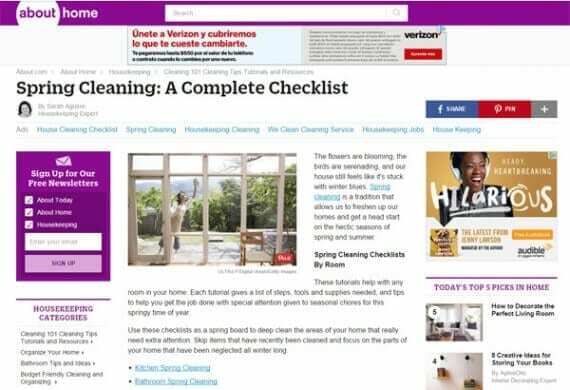 About’s Spring Cleaning Checklist is an example of the sort of articles content marketers could publish in honor of spring. Spring appliance cleaning and maintenance articles. Content marketers might also use spring cleaning to introduce related topics, such as personal well being, stress relief, dieting, or even spirituality. An obscure holiday celebrated by an inquisitive few, International Ask a Question Day might be a fun opportunity for ecommerce content marketers to ask shoppers questions about what matters to them, including everything from product interests to what is really important in life. Smashburger used Ask a Question Day to respond to customers, on Facebook. 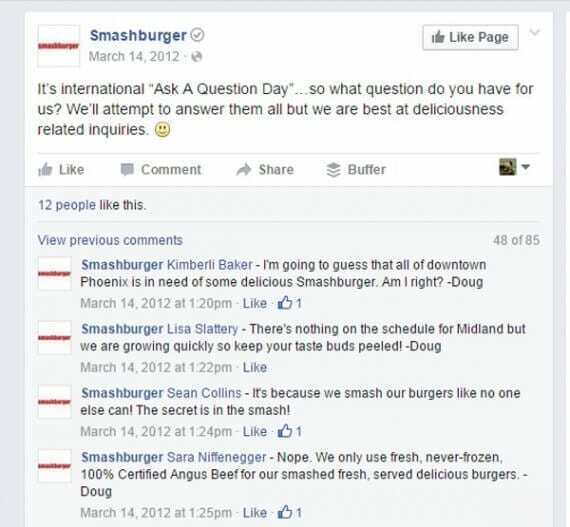 A few years ago, the restaurant chain Smashburger asked its customers on Facebook if they had any questions. It received inquires like where or when are you opening your next restaurant, what makes your burgers taste so good, and do you use “pink slime” in your burgers. This March, consider trying to out do Smashburger. 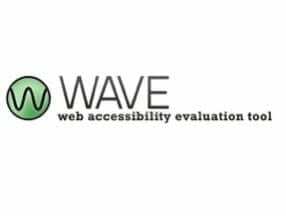 First, publish an article or release a video that describes International Ask a Question Day and even describes why asking questions is important or what makes a good question. Next, start a Facebook-based contest, asking fans and followers to submit questions for Ask a Question Day. Top questions get a $50 gift card on your website. Finally, publish the top 5 or 10 questions on International Ask a Question Day along with a meaningful answer that promotes your business. For less-than-inquisitive content marketers, International Ask a Question Day is not your only option for March 14. The date, when written 3.14, looks a lot like math’s pi (the ratio of a circle’s circumference to its diameter). Meant to celebrate mathematics, Pi Day content might be entertaining. It could be educational, or it could even be product focused. As an example of entertaining math-related content, watch this middle-school musical parody. More serious content might explain how mathematics impacts the products a company makes or sells.